Guest breweries will be visiting the Speonk restaurant for once-a-month beer dinners. With a name like Brewology, it’s not shocking this Speonk restaurant showcases craft beer. Owner Roger Bencosme believes “food should always be delicious first,” while beer director Terence Daly ensures the beverages compliment the menu. 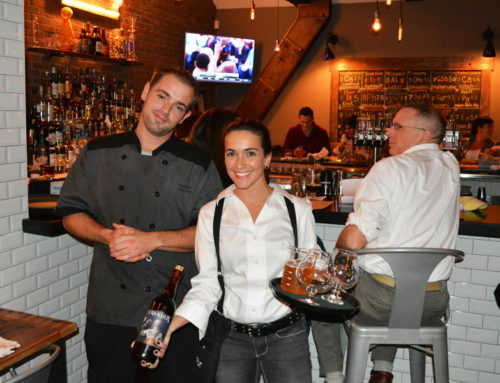 Recently, they joined forces with Southampton Publick House to present a five-course beer dinner that we had the pleasure to attend. To prepare for the evening, Daly met with Southampton’s head brewer Evan Addario to sample their lineup and take notes. He brought his findings back to chef Chris Zullo, who began to brainstorm a menu. Zullo does not drink, so Daly has to be extra diligent in describing the aroma and flavor of each beer. “I try to hit every single point on the taste of the beer with the food,” says Zullo and his pairings demonstrated just that. Diners were greeted with a cheese board accompanied by Southampton’s Cuvee des Fleurs, a saison enhanced with edible flowers. Though the flavors complemented each other well, this was also a strategic move to allow for latecomers. Once everyone was accounted for, each course was prefaced by a brief talk about the beer and why it was selected for the dish. For us, the standout course was rosemary lamb and roasted potatoes paired with Scarsborough, a spiced farmhouse ale. 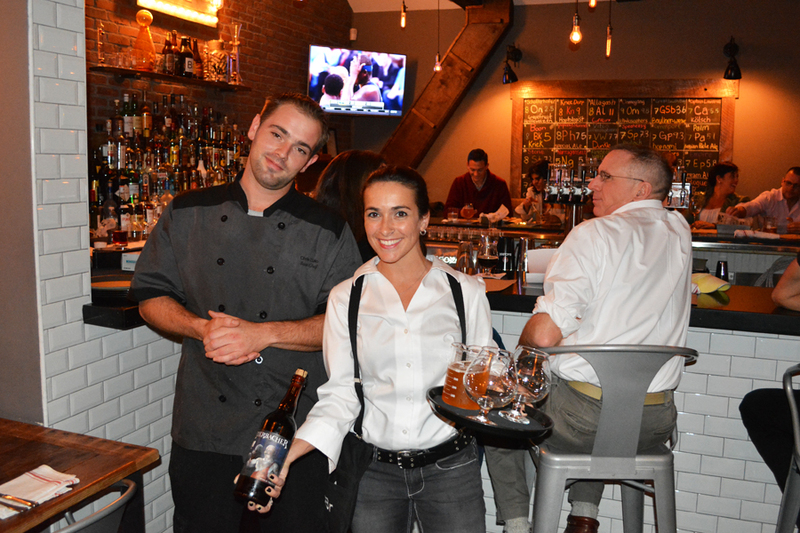 Brewer and chef echoed our sentiments, noting the herbal qualities in the beer and food played well off each other. This is the second beer dinner Brewology has hosted — the first was with Greenport Harbor Brewing— but it certainly won’t be the last. The goal is to eventually have one per month, with a focus on local breweries. And if Speonk is a bit too far east for you don’t fret, they’re opening a second Brewology in Port Jefferson. We're social — follow us!